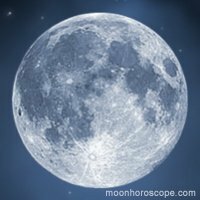 Like yesterday, the ☽ Moon in the sign of ♑ Capricorn 27°18'54"
In the house of Saturn - the god of time, patience, asceticism and trials. On the throne of Mars - the god of will, impetuosity, courage. In the element of the Earth. Emotions and behavior. The emotional background in this period is one of the most stable. The enthusiasm and romanticism inherent in the Moon in Sagittarius passes, sober, unhurried emotions will prevail. People behave more cautiously, more calmly, concreteness, practicality, rationality prevail. If the lunar day is unfavorable, emotional cold, indifference, manipulation of the feelings of others with selfish goals can manifest themselves. Job. The performance is essentially increasing. People work patiently, peacefully, productively. At this time, it is easy to build a strategic trend of business and production, identify goals and create future management guidelines. This period is successful for employees of government structures - chiefs, officials, where obedience, discipline and a practical approach are required. 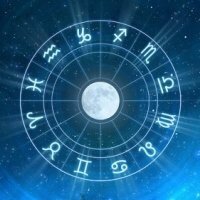 If the Moon arrives and the aspects of other planets are favorable, one can begin fundamental, serious, long-term projects that will require patience and interaction. This time is good for politicians, producers, lawyers. Less favorable to traders, because many will consider every cent. These days are also less favorable for artists, creators, artisans. Finances and values. 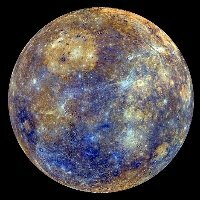 These days are favorable to purchase long-lasting, practical, useful things, also for the purchase of a land plot (however, it is necessary to check whether the retrograde periods of Mercury, Venus and Mars contradict such cases). At this time, it's better to buy than sell. Love. The novel that begins now will develop gradually: not sentimentality prevails, but practicality, profit. More value is given to the form, the image. However, if the feelings are sincere, if you manage to break the wall of distrust, suspicion and cold, this day can surprise "fire" slowly developing passion. Relationships often begin because experiencing loneliness, fear of being left alone. Relationships started now will last a long time, if the first day is successful, both partners are satisfied. Respect and gain, sometimes passion, will accompany them, however, not sentimentality. 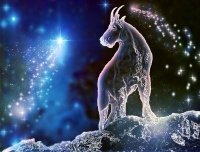 When the Moon in Capricorn, you should be able to wait, patiently and carefully to strive for the goal - for this you will be rewarded with serious, deep feelings. Health. Sensitive parts of the body: bones, spine, joints, especially the knees - rheumatism, radiculitis becomes aggravated, the body becomes more sensitive to accumulated salts. This period is suitable for treating the abdomen, diaphragm, breast, lymphatic system. For people aged, loneliness, old age become especially tangible ... Contraindicated all operations related to the teeth and the spine. It is very dangerous on this day to contact the healers about the correction of bones and the treatment of the spine. Stomach in the days of Capricorn will forgive you all the gastronomic excesses. It shows the operation on the stomach, treatment of gastritis, ulcer diseases. A respiratory practice is recommended. You can conduct mammography and plastic surgery to reduce or increase the mammary glands, examination of the organs of hearing, stomach, spleen, gall bladder. The best effect in the restoration of health will bring the running, fast walking. Avoid overload and cherish the heart these days are Lionesses. To improve blood circulation to women of all signs and, especially, Capricorn, it is recommended to take hot baths, do warming whole body massage. Children. Children become more peaceful, but prone to stealth, stubbornness, a thirst to control. Help them develop a positive experience of order, discipline, punctuality, thrift. Teach them to develop the will, to achieve the goal. Encourage them to dream of a future profession, a vocation: on such days distant goals are more easily formed. It is especially important to teach children to respect and love old people, traditions, history, develop their patience. The periods of inefficient Moon (or Moon without course) are unfavorable for any undertakings, and they should be avoided whenever possible. The case started in the Moon period without a course is rarely carried out as planned, if at all, to the end. And any undertaking, most likely, will lead to nothing. Remember: the goods bought during the Moon without a course are defective, defective or do not work, and the clothes do not sit properly. The begun course of treatment will be complicated and long. The ideas that have arisen at this time turn out to be unpromising. 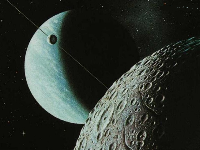 During an ineffective moon it is useless to look for a job or to pass an interview, since you still will not get a job. 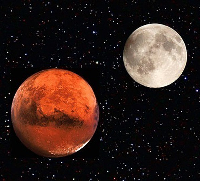 Business trip, which you will go during an ineffective moon, will be useless. Open at this time, the business after a long and costly effort will end in failure. The time of "Moon without a course" is unfavorable for those cases that are aimed at concrete results. This list is quite broad and diverse: sending important e-mail messages, submitting an application for a contest, surgical operation, finding a new job, registering a business and opening an enterprise, buying a car or other property, and recognizing in love and marriage. 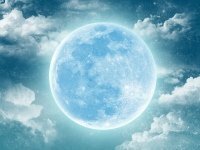 Usually, everything that happens with the "Moon without a course" - is not implemented at all or is not carried out in the expected direction. Promises are not fulfilled, feelings are not reciprocated, letters do not reach the addressee, contracts are terminated, applications are not accepted, the purchase is useless or defective. Remember the rule: if you want something to happen and happen safely, do not start an important business for the period of "Moon without a course." This aspect is good for almost everything, however it is bad for contracts and agreements. Favorable for communication with literary and clerical workers, travel and study. Bad for traveling and moving, communicating with government agencies, in order to seek promotions, build friendly relations, especially with women, for marriage, aviation, electricity, occult studies and all matters involving danger. A bad aspect for traveling, friendship and communication with women. Do not start anything important.